Memorial Day marks the beginning of grilling season (and unofficially, summer!) in the U.S. Unless, of course, you live in Seattle where we feign insouciance and grill under gray skies while listening to the rhythmic pitter-patter of raindrops until at least July 4th. Growing up, satay, chicken wings, and pork chops were always staples on the grill. Yes, every family does it differently. You may think that satay, chicken wings and pork chops are very exciting but inevitably the same stuff on the grill, bbq after bbq (regardless of the numerous permutations and combinations), does become a bit of a bore. 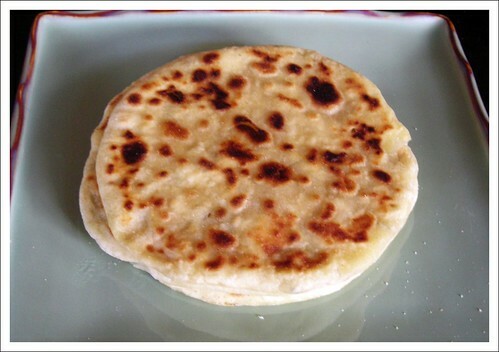 Easy to make and nutritious too, aloo paratha is a potato-stuffed flatbread. This one-dish Indian meal can be eaten for breakfast, lunch, dinner, or at your next barbecue. In this recipe, Champa uses an electric griddle but I think the barbecue grill would make a fine substitute. Just be sure the grill grates are well-oiled. I don’t usually grill fish on the barbecue but this isn’t quite grilling. Follow all the steps in this recipe but instead of steaming the fish in a claypot, wrap it up in aluminum foil and place it on the grill. The fish will steam nicely inside the foil packet. Remember to check on it frequently so it doesn’t overcook. What’s better than chicken wings on the grill? Stuffed chicken wings on the grill! Prepping this dish is a little laborious but the accolades from your guests will make it all worthwhile. 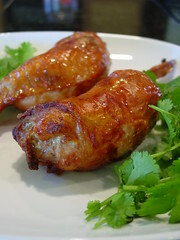 Whether you choose to stuff chicken wings or a whole chicken, you will be rewarded with delicious bird. Steam a cake on the grill? Why not? In this case, I’d use a metal cake pan, not a glass one. I’m Asian, I like rice. 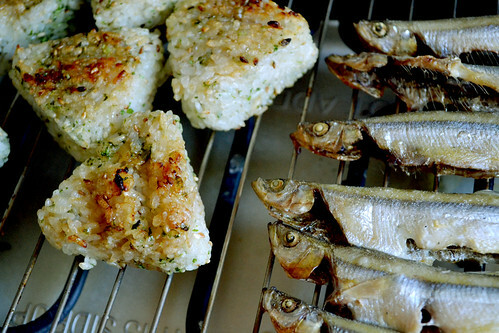 And these delicious rice balls are a delightful way to have my rice and grill it too. What are some of your break-out-of-the-box items you like to put on the grill? If you’ve ever thought that Chinese recipes were complicated, this dish dispels all preconceptions. Not only is it easy to remember, it’s almost effortless to prepare. To feed more people, just increase the ratios in proportion to the meat. For a tangier taste, switch the proportions of vinegar and sugar. Try it with beef short ribs too. 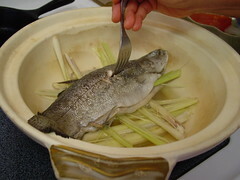 In a large wide-mouthed heavy-bottomed pot or Dutch oven, combine the rice wine, vinegar, sugar, soy sauce, and water. Add the spareribs and bring to a boil over high heat. 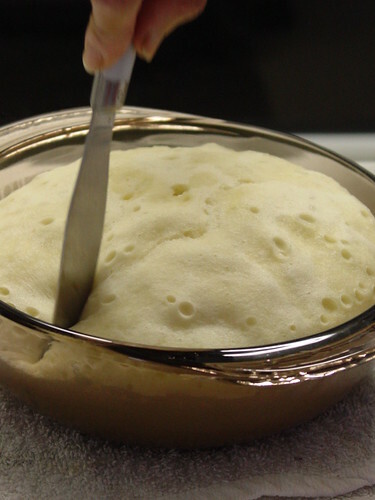 Reduce the heat to medium and simmer for 40 to 45 minutes uncovered, stirring occasionally. If the meat dries out and starts to burn, add water, 1 tablespoon at a time. 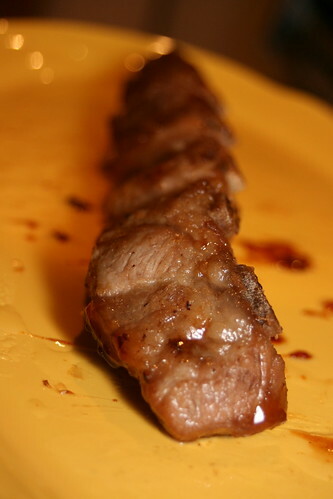 The ribs are ready when the meat is tender and glossed with a sticky, reddish-brown glaze and the liquid has been absorbed. Serve with freshly steamed rice and a vegetable side dish. If there’s still a lot of liquid at the end of the cooking time (this can happen if the meat contains a lot of water), remove the meat and raise the heat to high. Cook until the liquid turns into a thick, sticky sauce. Add the ribs back into the pot and toss to coat. You can also broil the ribs on high for 3 to 4 minutes to create a nice burnished crust while you reduce the sauce.